This activity is simple to make and is great to use as a writing activity for the whole class or as extra work for early finishers. 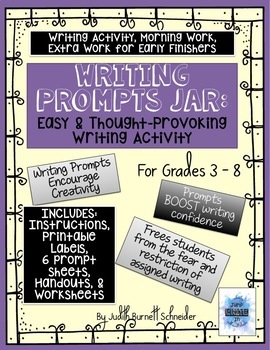 Create a jar filled with unique, open-ended prompts to trigger an instant response in students, making the writing process that much easier. 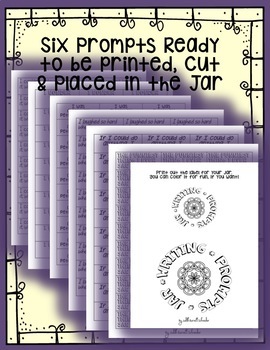 Prompts encourage creativity and boost writing confidence. 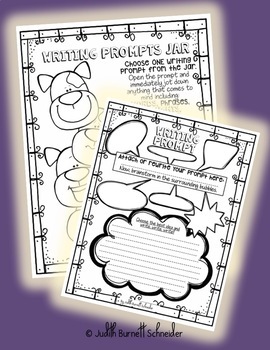 This product includes printable, prompt sheets, handouts & worksheets. This activity is engaging and fun. 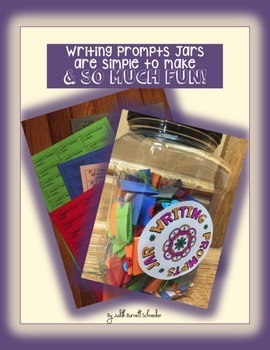 Students often come back for more, so your Writing Prompts Jar will be emptied as quickly as a cookie jar!